Okay, so I'm sure you've read the nutrition information of some food online, and have found it really difficult to translate the information to practical every day life. I mean, who the hell knows what 200g of chicken breast looks like, huh? But sometimes, especially if you are on a strict calorie program, it is easy to veer away from the right track because estimates can be grossly wrong. 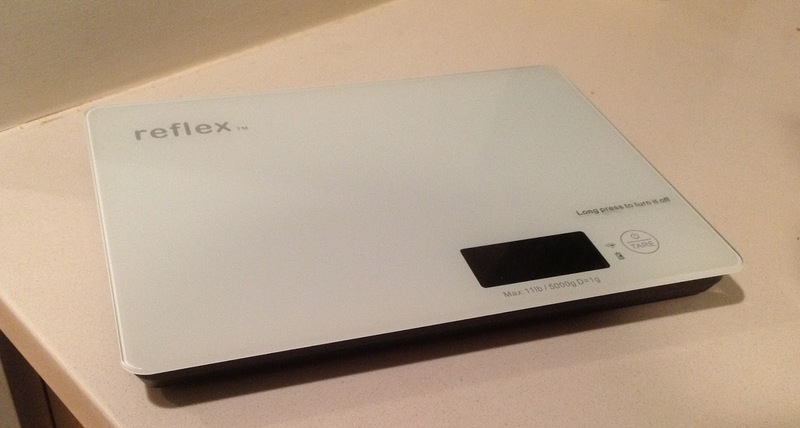 So of course, when I got the opportunity to review a food scale, I was pretty excited. The NutriCrystal wireless Smart food scale is not just a food scale though. 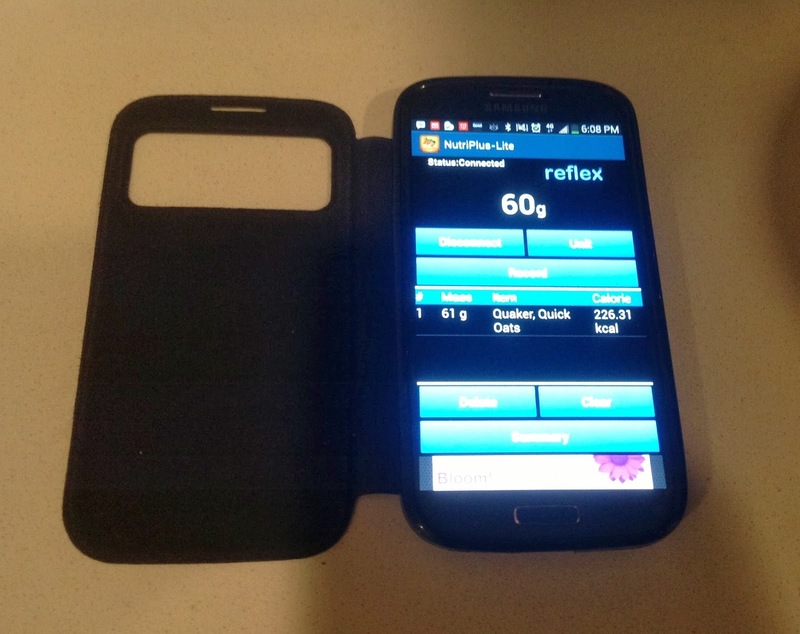 Per the makers, Reflex Wireless, it is the world's first bluetooth smart scale that comes with a huge database of the nutrition content as well. It is also made of tempered glass to give it that polished look, and allow you weigh other things besides food as well (provided they are pretty light). Just like any other scale, you weigh your food in grams. 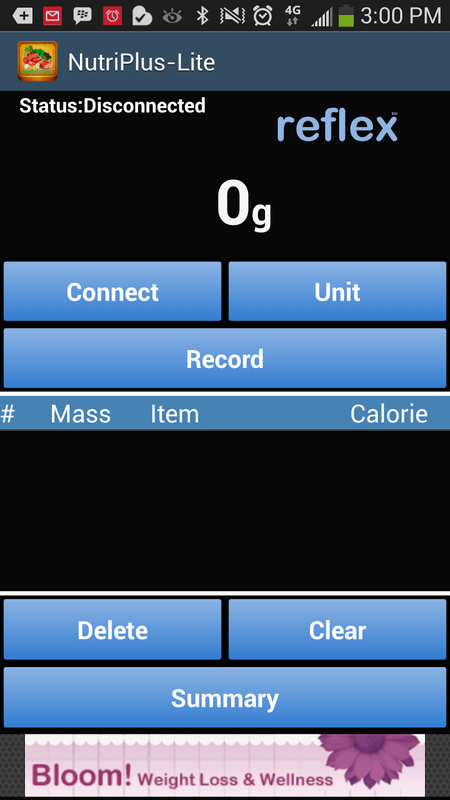 All you have to do is turn it on, put the food on it, and the weight in grams shows up. If all you are interested in is the weight, then that's it. You're good to go. I tested this with some quick oatmeal. 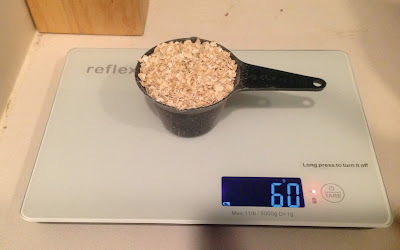 Note that the cup weighs 12g so the actual weight of the oatmeal is 48g, but I chose to leave it as-is for demonstration purposes. If you are interested in using the food database with the nutrition information, you have to go over to the Apple or Android Store on your phone or tablet, and download the app called NutriPlus-Lite. Once you have this, you need to wirelessly (via bluetooth) connect your phone to the scale so that anything you weigh on the scale is reflected on your phone. When the weight is reflected within the app on your phone, you can then choose a food item from the database so it shows the nutrition information for the exact weight and food you have on. I did this with the oatmeal as well and it was super easy. This actually showed that there is a margin of error with food weight and so you need to take this into account. 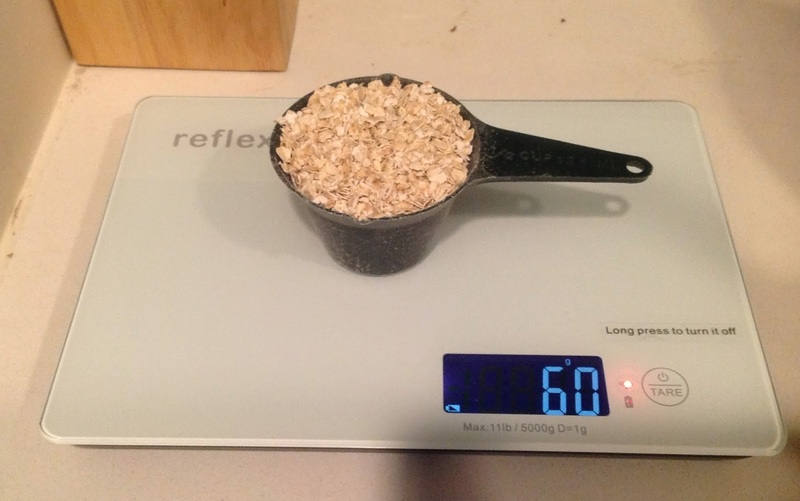 As I said, the weight of the oatmeal came to about 48g after taking out the weight of the cup. The nutrition information on the pack said 40g, so obviously either the scale of the pack are a tad off. But at least that showed me that my pack weight is probably not 100% correct, and so those possible extra calories need to be accounted for. So should you try this product? Absolutely. If you are interested in eating healthier, cooking professionally, or even working as a fitness expert, this is a great tool to have. Try it out!